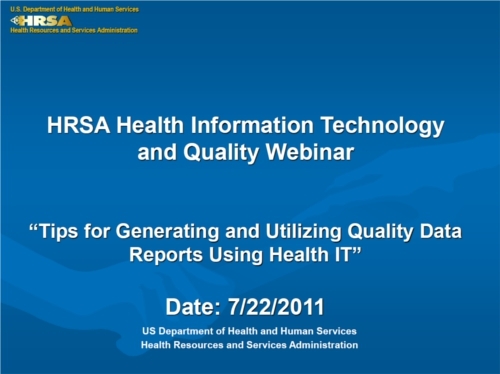 On July 22, 2011, Clinical Director Margaret Flinter, Chief Medical Officer Nwando Olayiwola, and Chief Quality Officer Daren Andersen presented on a Health Resources and Services Administration (HRSA) Health Information Technology and Quality Webinar. The webinar focused on how safety net providers such as health centers and rural providers can generate quality reports and utilize this data for improving healthcare outcomes. CHC has been recognized by HRSA as a leader in the utilization of health information technology and was invited to speak to one of the largest audiences in HRSA webinar history.